Sadly, Songkran passed away February 27th, 2015. Songkran’s owner decided to donate her to us when she was 70 years old. 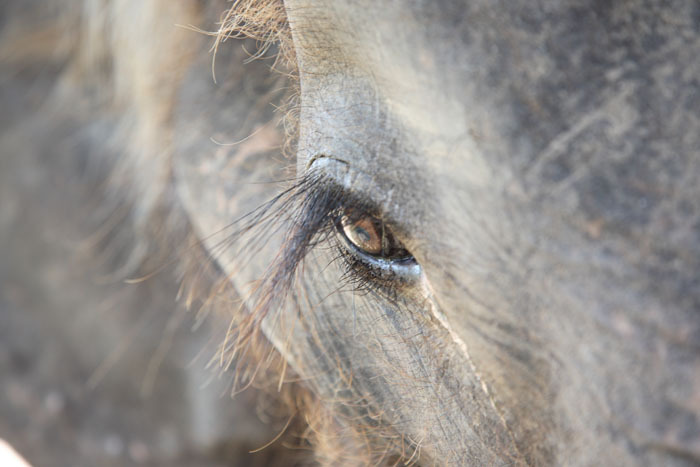 She arrived at ElephantsWorld in April of 2009 after a very hard life. 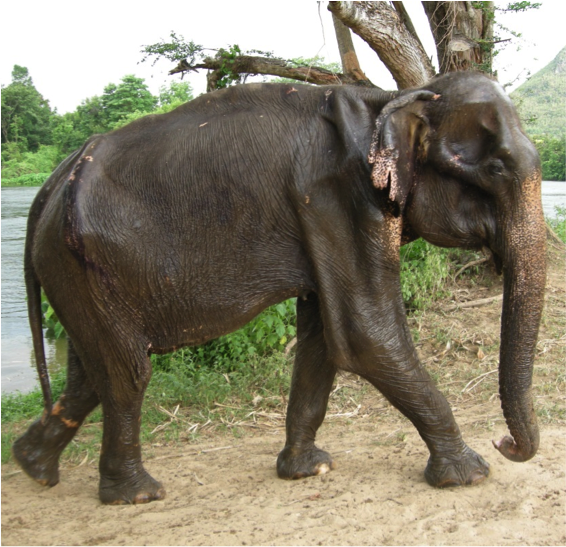 You could see the marks on her skinfrom her work as a trekking elephant. Her bones were clearly visible and you could count her ribs. She wasn’t able to sleep on the ground, and when she would fall down only a crane could help her stand up again. After four years of a special treatment of sticky rice and medical care she was able to recover and regain her strength. Many visitors who first saw her when she arrived here wouldn’t recognize her now. She is now very big and powerful. 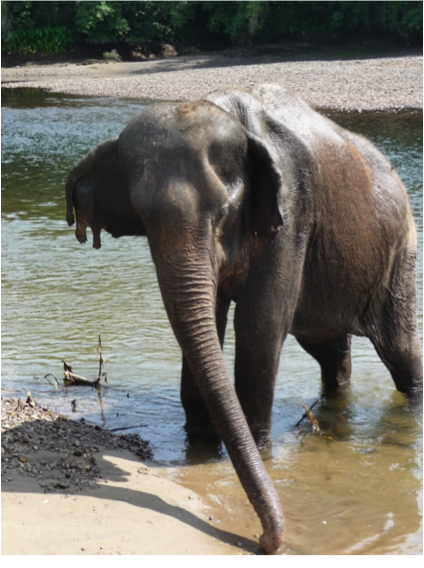 She transformed completely to one of the strongest and most self-assured elephants at ElephantsWorld.